Love has no bounds. Indeed, its a relationship of caring between husband and wife, mother and son, father and daughter, mother daughter, brother sister, brothers, sisters, friends, uncles, aunties, Granpa and Gramma, friends, and any one you care about. Valentine’s day has moved from an exclusive rendezvous between two lovers to an universal meaningful expression of caring between any two people, and as a futurist, I see this morphing into a universal affection day within a decade. Throughout the history of language, words have taken on new and expanded meanings; Valentine’s Day is no exception, and eventually, it will become an all inclusive romantic day. 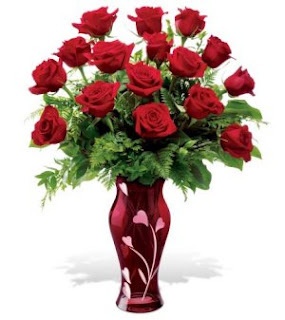 Please feel free to say happy valentine’s day to your sister, mother, brother, daughter, dad, uncle or a friend. It is a much bigger word now than it started out to be. Take them out for dinner and send them flowers to let them know that you care if you are the only one for them at this point in life. On the other side of the world, a few frustrated ones will go to the other extreme. A handful of Indians, Pakistanis and Bangladeshi Hindus and Muslims will go on bashing and harassing the people who want to spend their time in peace. They ransack shops that sell the cards, and have a record of beating up couples in restaurants. If I were a peacemaker, pundit or an Imam, I would actively seek these men to respect the otherness of others, and ask them to join for tea and laddus (dessert) at the Temples, Mosques or other places of worship and have them fall in love with God, and sing songs praising the lord, instead of bullying others on the street. We need to pave the way for people to respect the “otherness” of others. Sadly, some of you are going to feel lonely, if you miss the love in your life; you have an opportunity to fulfill it. There is plenty in you that you can give by feeding the homeless, visiting lonely patients in the hospitals or nursing homes, disadvantaged women and children, our veterans… share whatever little you have with them including the time and just listening to them. When a homeless person asks, give whatever you can, that is the most affectionate thing to do, you will enrich yourselves far greater by sharing. The best thing you can do for yourselves it to take an hour away from every one, and reflect on your life without blaming any one and figure out how to change it. Your love does not have to be expressed in the romantic sense, channel it out with family members, or a good old friend, or just by yourselves by caring for them, and doing things un-asked, and without any expectations of reciprocation. There is nothing more peaceful than knowing yourselves, consider appreciating what ever you have, and accepting the way you are without wishing to be something and someone else. You don’t need to compare with any one on the earth, there is none like you, you are one in 7 billion; you have your own unique thumb print, eye print, dna, taste bud, colors, foods, smells, sights… by God, you are your own model! When you accept that you are unique with your problems and joy, you will find peace and love. When you love yourselves, i.e., you do not wish you had things others have but be content with what you have, you do not wish to look like someone else and be happy that you can at least breathe, you do not wish to wear like someone else, you do not want to talk like some one else, and do not want to live like some one else, then you have accepted your uniqueness that God gave you (ok, the genetic, if you don’t believe in God), when you do that, you are in love with yourselves. Don’t forget, if your love makes you humble, you become the honey and attract good friendships, on the other hand if you become arrogant that others are inferior to you, you stink, and repel like hell and no one would want to be friends with you. Make the commitment and just do it, if you like it recommend it to your friends. If you are not single and have a spouse, listen to these songs and see if they express you. I dedicate these three songs to Yasmeen, my dear wife. My expressions would be incomplete without honoring the poet of love, Mirza Ghalib, one of the greatest romantic poets of all times who composed his poetry in Urdu/Hindi and Farsi. you cannot lit or extinguish it deliberately, it just happens. ……. Mike Ghouse is a speaker, thinker and a writer on pluralism, politics, peace, Islam, Israel, India, interfaith, and cohesion at work place. He is committed to building a Cohesive America and offers pluralistic solutions on issues of the day at www.TheGhousediary.com. He believes in Standing up for others and has done that throughout his life as an activist. Mike has a presence on national and local TV, Radio and Print Media. He is a frequent guest on Sean Hannity show on Fox TV, and a commentator on national radio networks, he contributes weekly to the Texas Faith Column at Dallas Morning News; fortnightly at Huffington post; and several other periodicals across the world. His personal site www.MikeGhouse.net indexes all his work through many links.